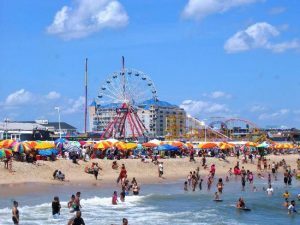 Home Event Ocean City, Maryland Beach, Sun, Sea Food and Boardwalk! Join us as we visit Ocean City, Maryland. 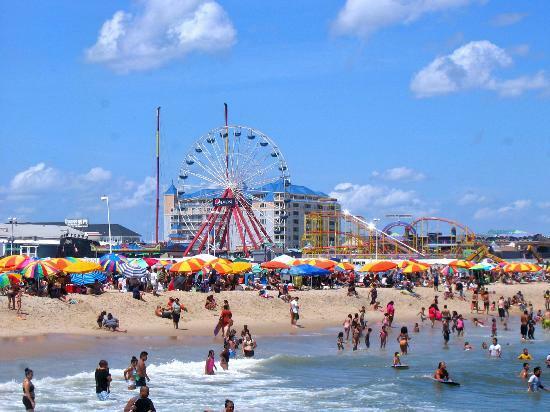 Beach, Boardwalk, amusement parks, seafood and plenty of fun in the sun! We visit Jolly Roger’s Amusement Park where you get to enjoy many water rides, shows and entertainment. Eat a famous crab dinner at Buddy’s and enjoy the arcade on the Boardwalk. Catch a sunset at the bay and ride the Carousel at Trimpers. This brand new trip has something for all our travelers.